Although I have used the Kenneth French data library extensively in various posts, I have not yet used the international data sets paired with the wonderful paper. 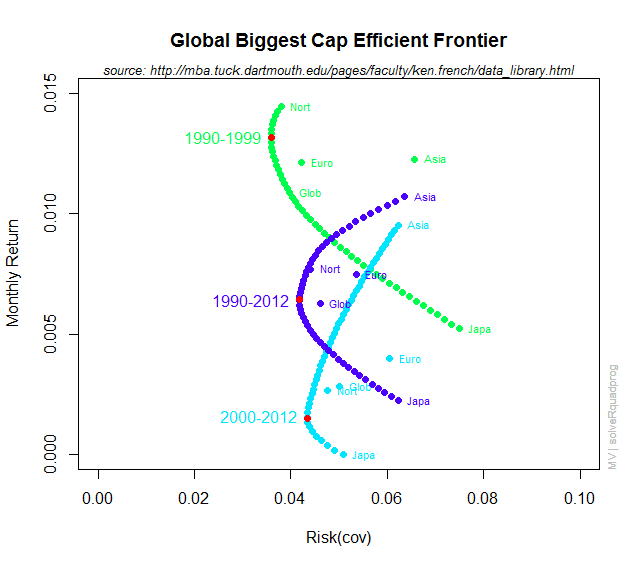 To rectify this home bias, let’s generate some efficient frontiers for the biggest cap stocks by geographic region to see how the frontiers have evolved over the last 20 years. Eventually, I would like to think through some other methods of comparing risk, return, and weights across multiple frontiers.